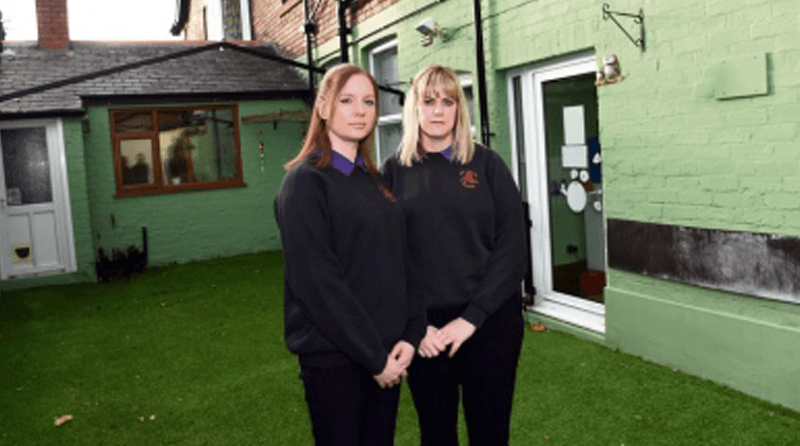 Owners at Jack and Jill Nursery in Carlisle are furious after buying new outdoor play equipment that was only partially delivered. Emma and Linda Clegg, who jointly run the nursery in Stanwix, felt it was time to revamp their outside space by installing a mud kitchen, wooden music centre and playhouse. However, 6 months after they had paid for the work to be completed, the firm that they used has yet to build two of the items. Emma and Linda have said that Chris Worstencroft, the owner of CMW Timber Works, has repeatedly given excuses to them about why the music station and the playhouse have still not been installed at the nursery. Emma said: “I ordered the items in May and it was supposed to take five weeks for the items to be delivered. “We have been on the go for 28 years and decided we wanted to spruce up the outside area, and CMW Timber Works was supposed to be making bespoke equipment for us to put outside. “He was going to build a play house in the shape of a hill, using artificial grass so that it would look like the Tellytubbies hill you see on TV. In September of this year, Mr Worstencroft wrote to the nursery apologising for the order taking so long, stating that he had no intention of letting the nursery down and citing problems the business had encountered as reasons for the work not being finished. However, Emma has said that they have yet to receive any form of repayment from CMW Timber Works for the items that haven’t yet been delivered and currently they will not answer any of her calls or messages.